The season of holiday parties is upon us. 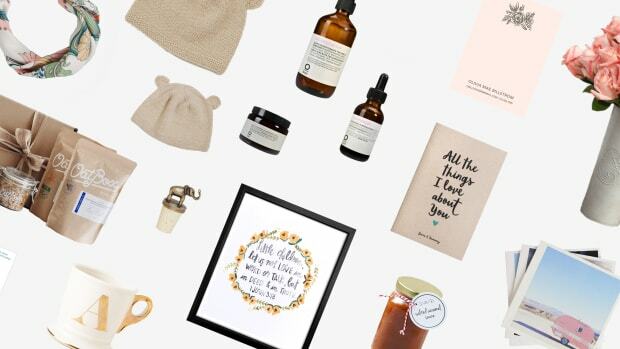 Amidst the excitement of picking out your festive, sparkly party outfit and bundling up to stay warm in the snow, it’s easy to forget about the hostess gift until you’re just about to walk out the door. 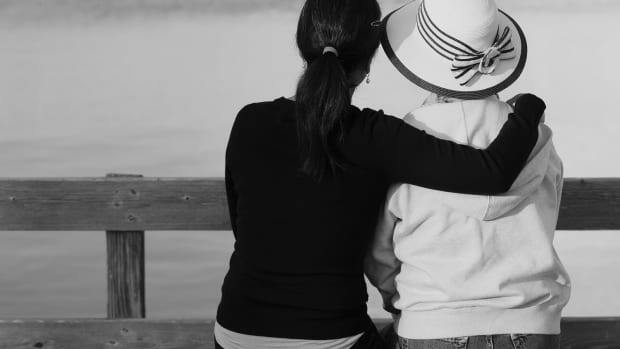 While a bottle of wine has become the ol’ standby, bringing a unique hostess gift can set you apart from the red or white bottle–bearing crowd. 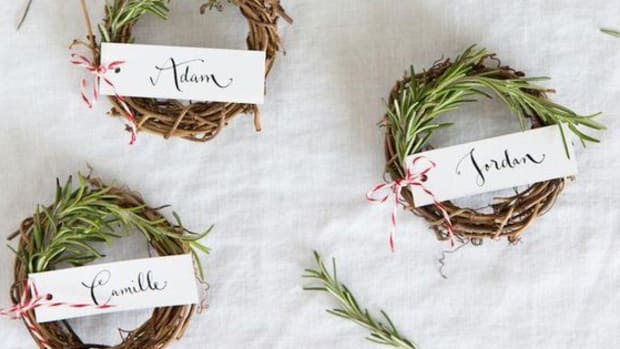 Trust us, these clever and affordable homemade gifts will instantly make you the favorite guest. Here are twelve easy hostess gifts you can make without breaking the bank just in case you have, like, twelve days of Christmas parties to attend. You’ll want to make some of these for yourself (I did!). Caramel is tasty on its own. But once you add a dash of salt, it’s elevated to a whole new level of deliciousness. 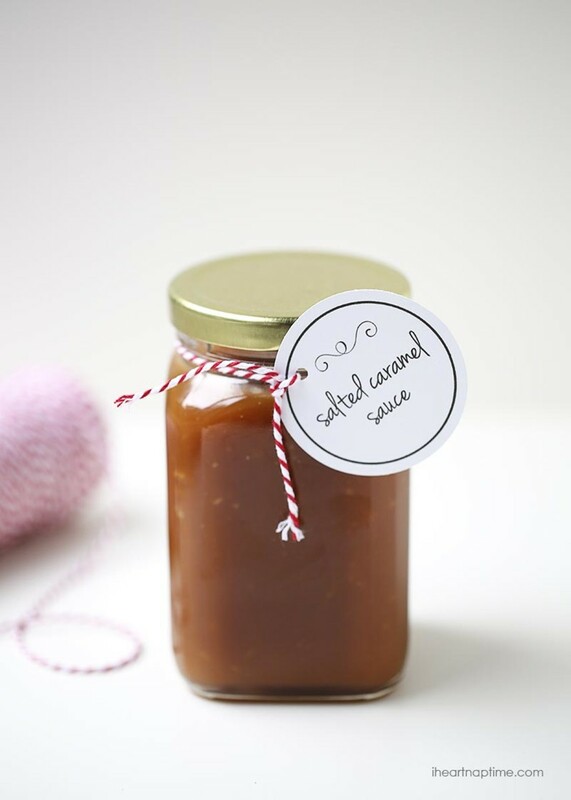 Giving your hostess the gift of being able to drizzle warm, homemade salted caramel (made without any corn syrup or unpronounceable ingredients, ta-da!) over brownies and ice cream will elevate your status as gourmet cook and expert gift-giver. I Heart Nap Time’s easy tutorial will leave you wondering why you haven’t made this recipe a part of your life sooner. 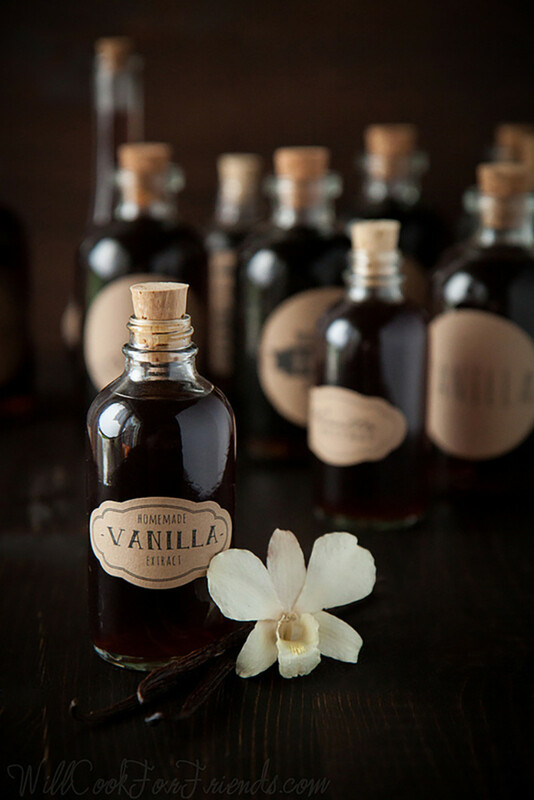 Why bring a bottle of wine when you can bring your own infused liquor? It’s as easy as choosing a base liquor (bourbon, vodka, gin, etc. ), adding infusion ingredients (herbs, citrus, spices, etc. ), and letting the magic happen. What’s great about this is that you have near-endless opportunities to be creative and play mixologist. 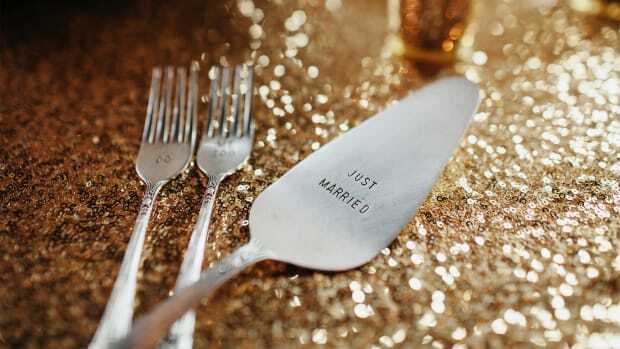 Go ahead. Blend citrus with lavender, and see what happens. 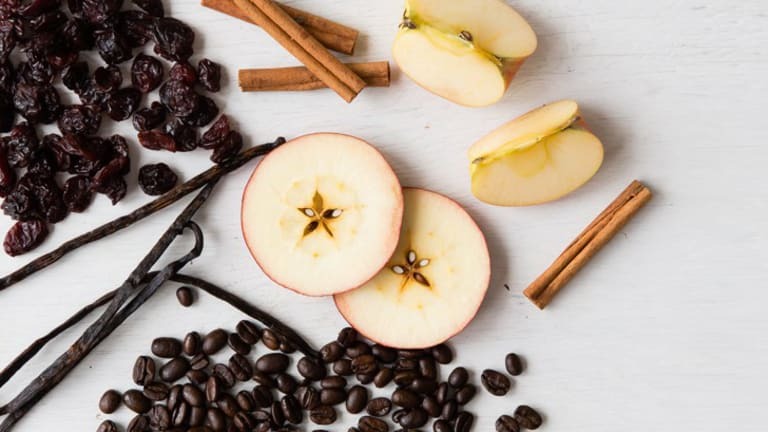 If you want to stick with tried-and-true options, this tutorial by Hello Natural has nine options, including coffee vanilla bourbon, grapefruit and lemongrass vodka, and cardamom fig brandy. 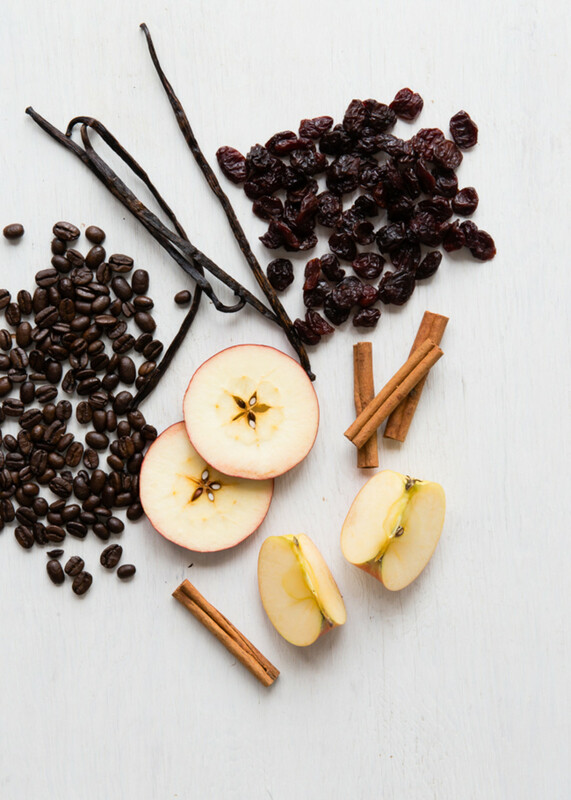 You’ll obviously want to conduct a taste test before gifting—we’re more than cool with that. 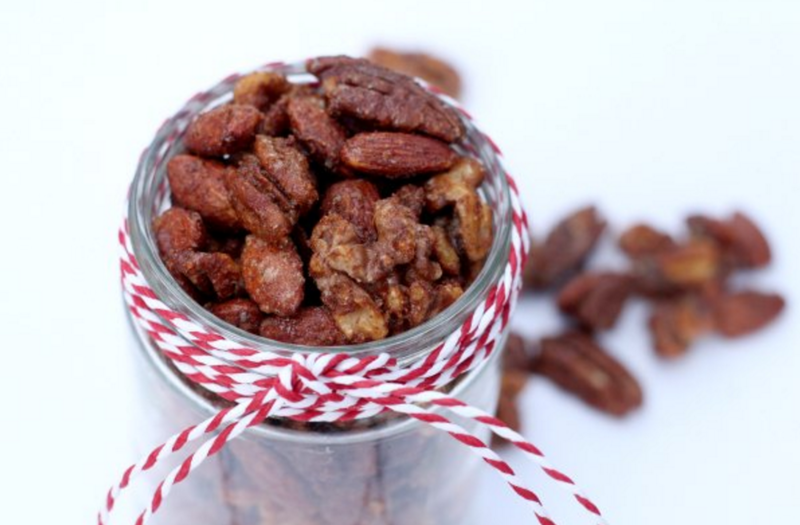 I am letting you in on my personal secret to one of the best hostess gifts ever. 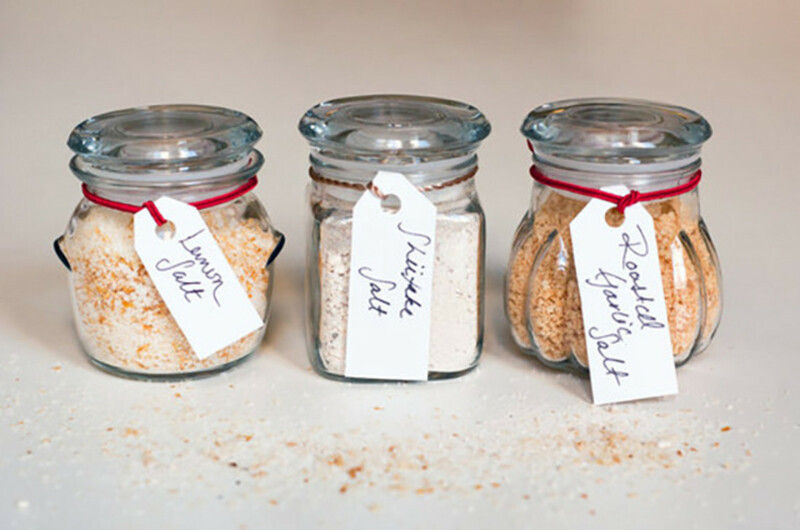 I made this easy garlic salt recipe from PopSugar last year as a gift for several people, both family and friends. I still get comments from the recipients about how delicious the salt was. I’m telling you, this salt is gold. I’m even planning on making it again this year (family and friends, humor me and act surprised). All you need is roasted garlic, a little olive oil, and salt. It’s that simple. It always seems to happen that late one December night. You’re sitting by the fireplace watching the snow fall when suddenly you realize that you have to have hot chocolate . . . with Kahlúa, perhaps, or Baileys. But, of course, you don’t have the liqueur or the marshmallows—which inevitably means either going without or braving the snow. Save your hostess from this dilemma by making her Hey Gorgeous’s drunk hot chocolate kit. It’s a complete little package with everything she will need to make the best hot chocolate ever. After a day of party prep, an evening of making sure the eggnog is flowing and the atmosphere is festive, and cleaning up a mountain of dishes, your hostess will be glad to pamper herself (and deservedly so). 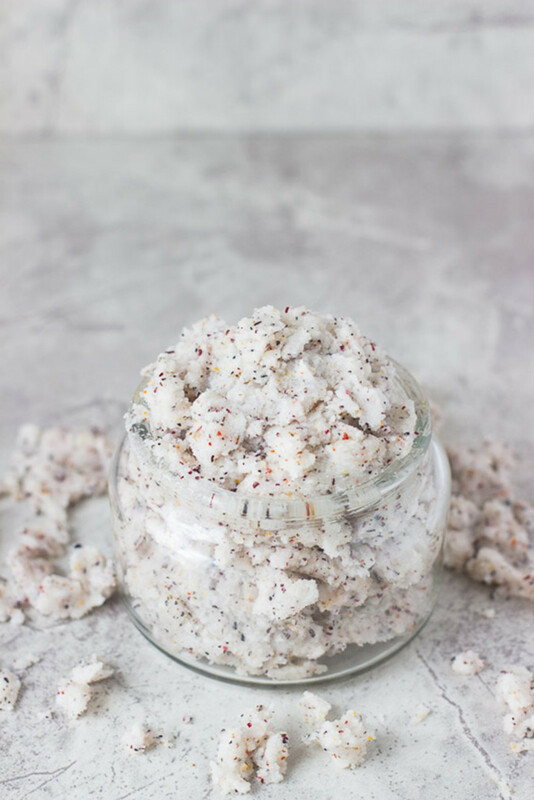 Put together this quick black tea body scrub from Savvy Naturalista to help give your hostess the luxury of a relaxing and rejuvenating spa experience in the comfort of her cozy home. Truffles are like the decadent cousins of a box of chocolates. Add in red wine, and now you have one of the best dessert combinations there is. Plus, truffles are deceptively simple to make. 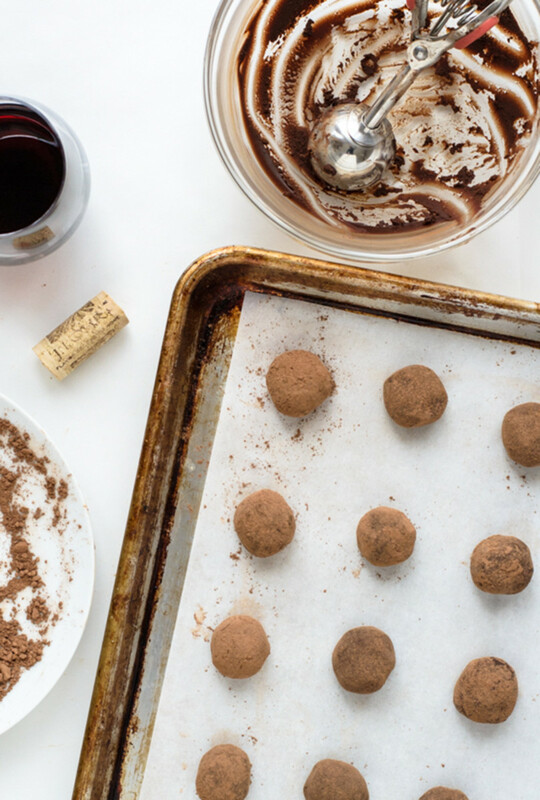 Well Plated by Erin’s dark chocolate red wine truffle tutorial shows you how easy it is to make this indulgent treat. 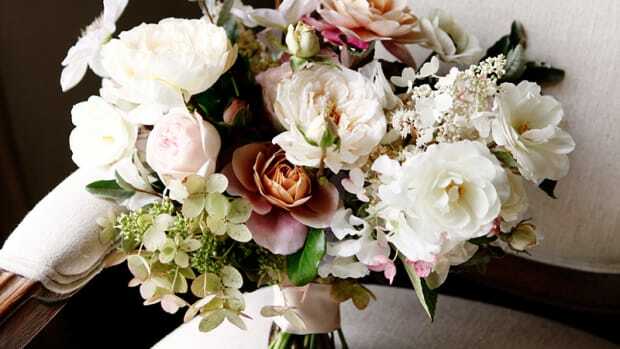 Put these in a box, tie with a red ribbon, and you’re good to go. Have you ever struggled to get rid of that garlicky or oniony smell from your hands after cooking? Chances are that your hostess has had the same frustrating experience. 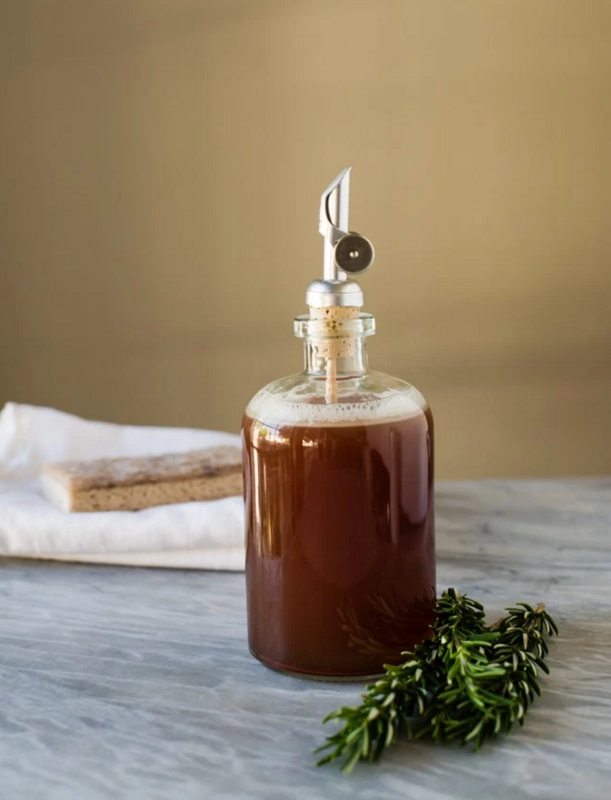 Enter Hello Natural’s rosemary-infused dish soap. The rosemary helps to eliminate the strong odors from your hands after cooking. Your hostess will appreciate your thoughtfulness and think of you every time she uses it (often, I’m sure). Embracing winter like the Norwegians do is all about creating a cozy atmosphere. It doesn’t get plusher than a luxurious faux-fur blanket. 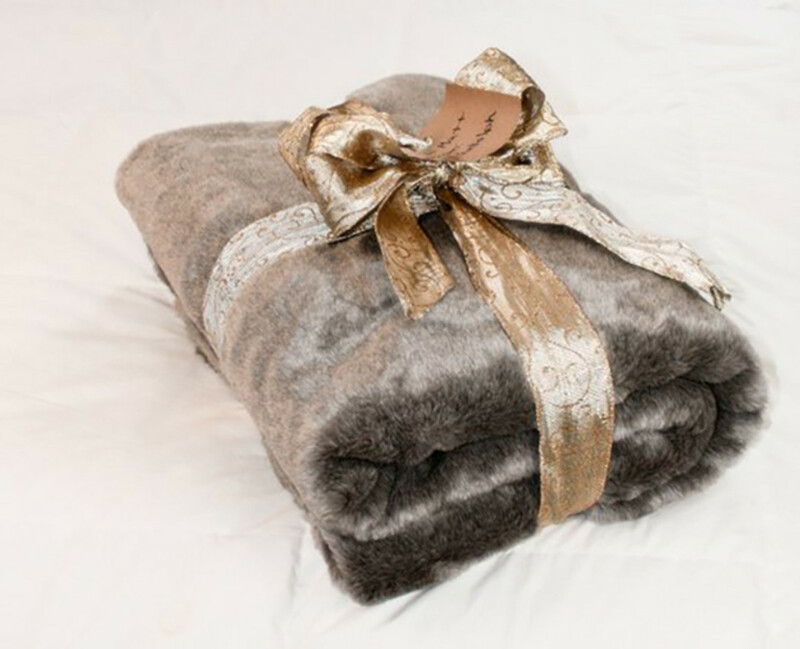 Every year, I would go to Pottery Barn and look longingly at the expensive faux-fur blankets (upward of $199—no, thank you). That is, until I got wise and realized how easy it would be to make one myself. It requires only beginner skills and basically involves sewing two rectangles of faux-fur fabric together. This Apartment Therapy tutorial shows you how. Your hostess can use it to stay warm by the fire or bring it with her when she takes a tour of the Christmas lights in the neighborhood. You might even want to make two because by the time you’re done with the first one, you’ll want to keep it for yourself. 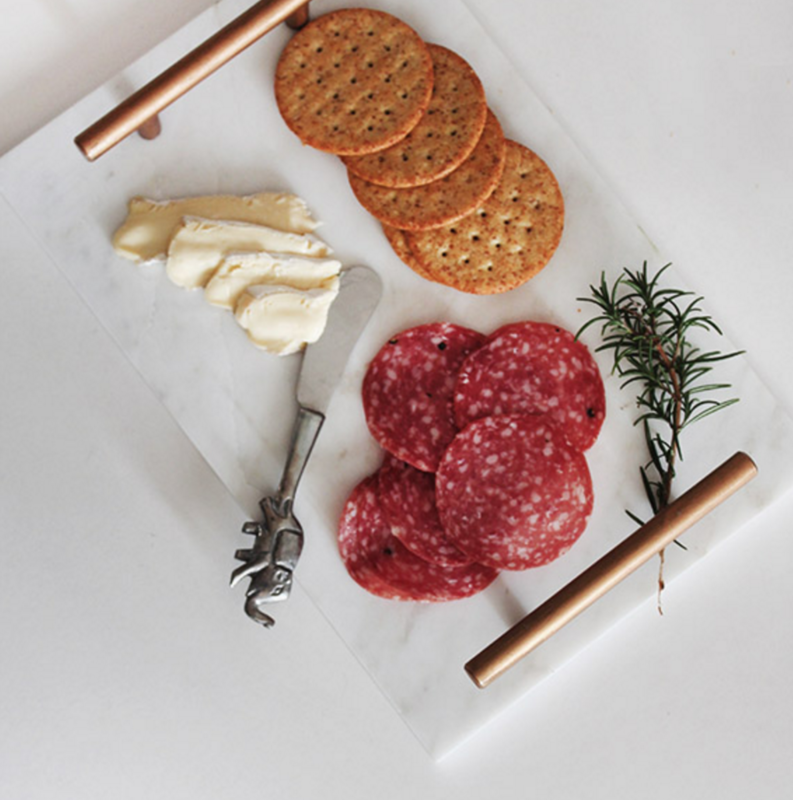 This elegant marble tray from Almost Makes Perfect will make an ideal cheese board, toiletry holder, or coffee table tray for the modern or classic hostess. It looks expensive and unique but is a cinch to make after a quick trip to your local hardware store. This piece will be right at home no matter your hostess’s design tastes, and everyone will be amazed by your DIY skills. We all have that oenophile friend who would really just appreciate a fun bottle of wine to try. 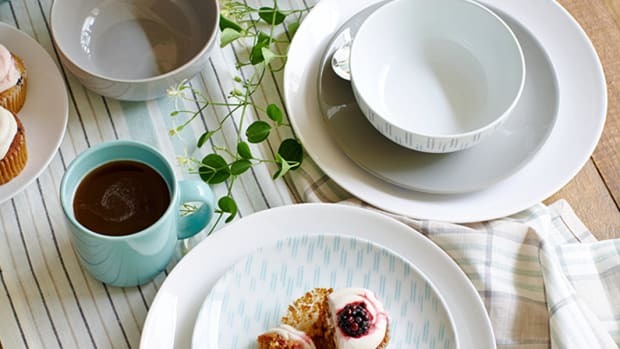 Add an instant layer of luxury (and thought!) 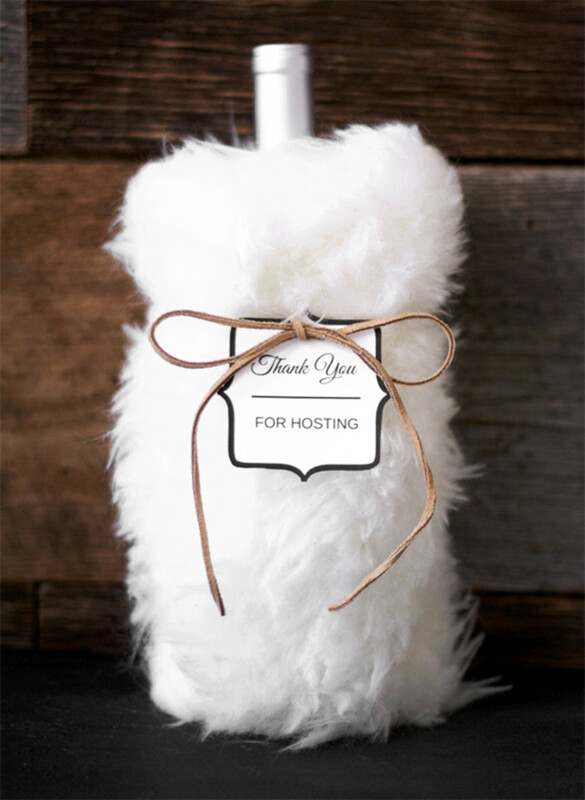 to this traditional hostess gift by making an easy faux-fur wrapper inspired by Restoration Hardware—just tie it off with a ribbon or leather cord. I like Kristi Murphy’s tutorial to create your own. Check out your local craft store for coupons when shopping for faux fur. It’ll keep costs down while still giving you the opportunity to use a nicer material. 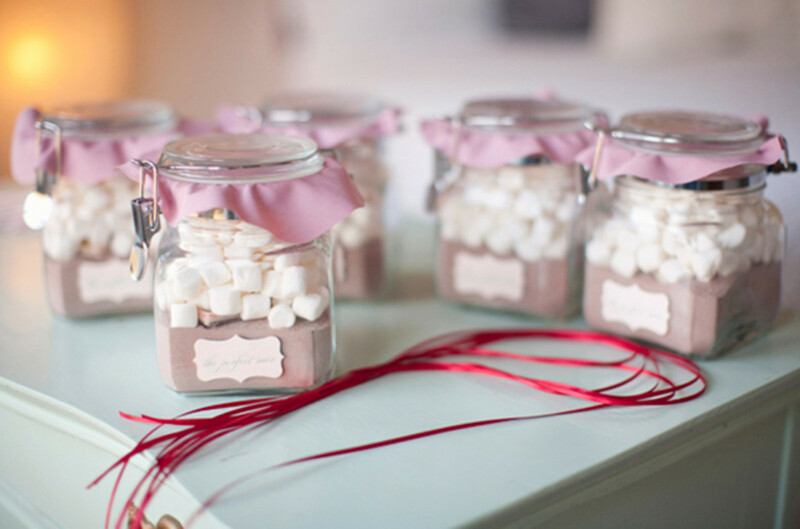 Homemade hostess gifts don’t have to be complicated to be amazing. 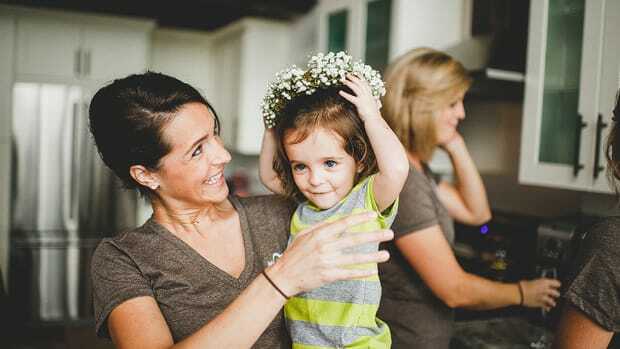 Making something for your hostess that she looks forward to using is one of the best gifts you can give her. 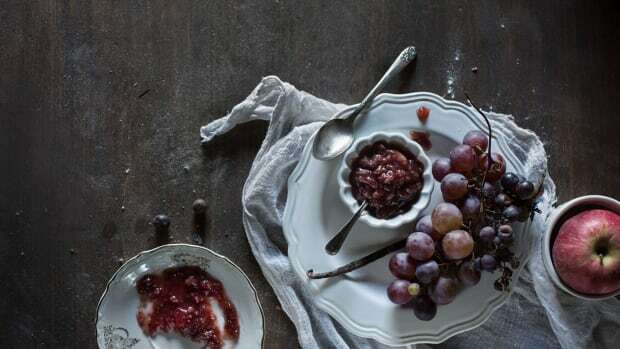 Plus, you’ll have the joy of creating something delicious and beautiful—much better than a rushed trip to the liquor store to grab the first bottle of wine with an intriguing label. Happy holiday homemaking!